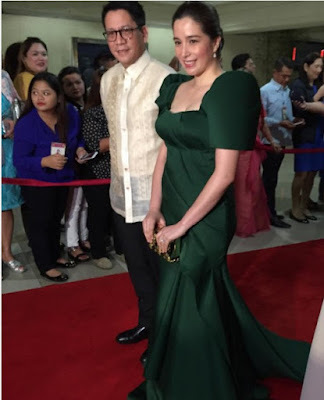 and wife Dawn Zulueta-Lagdameo in a filipiniana gown by Carly Santiago. 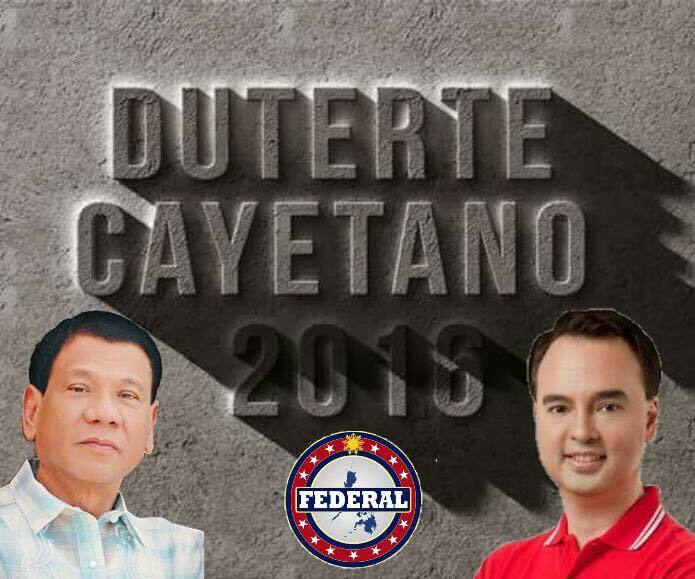 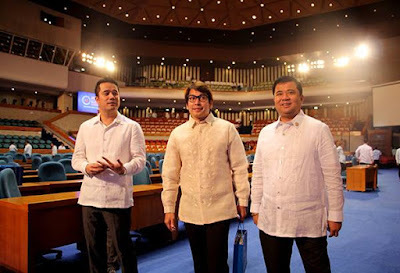 Photo courtesy of Jonathan Cellona for ABS CBN. 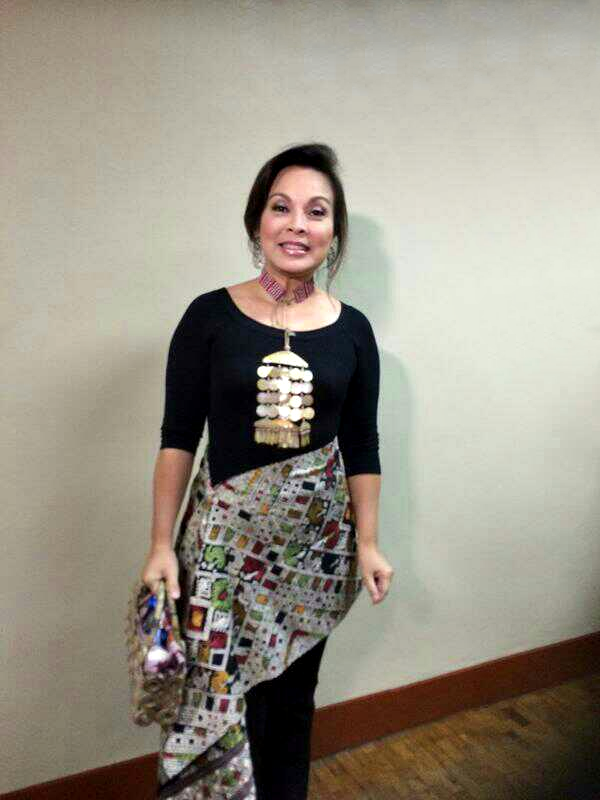 and wife Shalani Soledad in a filipiniana gown. 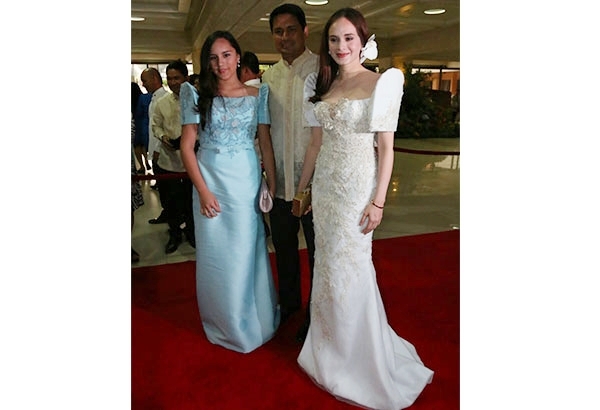 w/ her husband Richard Gomez and daughter Juliana. 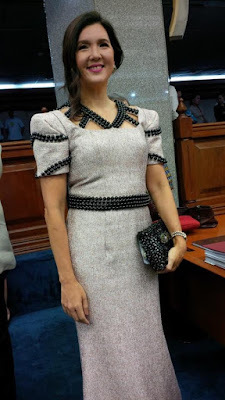 wife of Davao City Rep. Carlo Nograles. 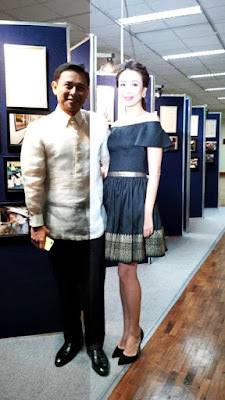 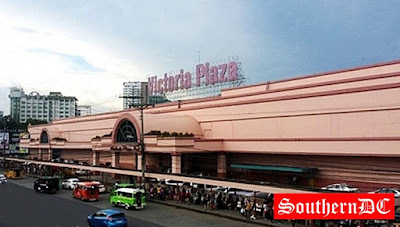 Photo courtesy of Inquirer Lifestyle. 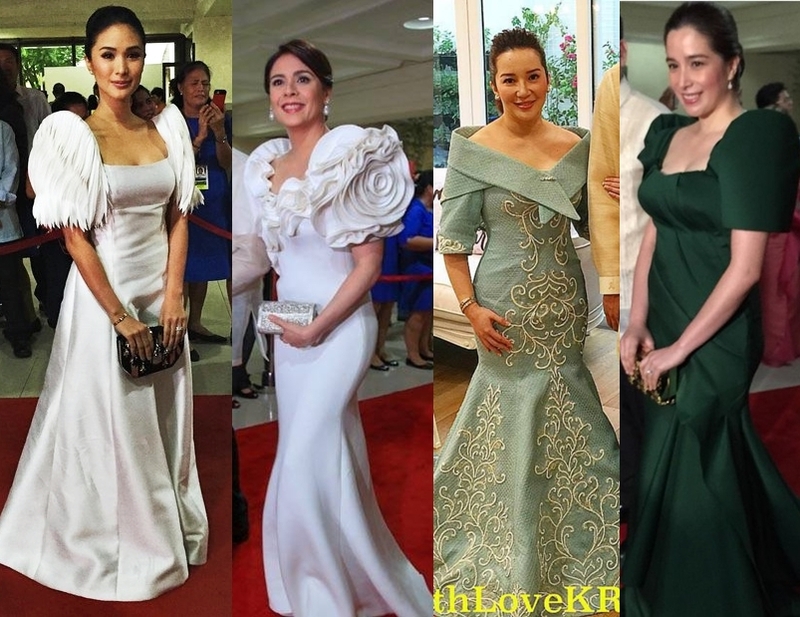 From Left: Dawn Zulueta, Kris Aquino, Jinkee Paquiao, Regine Velasquez, Shalani Soledad and Lucy Torres. 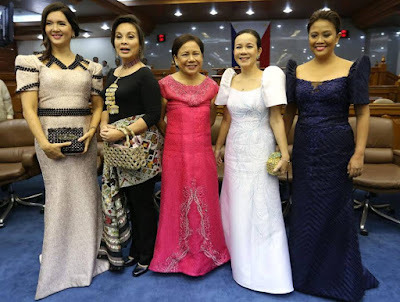 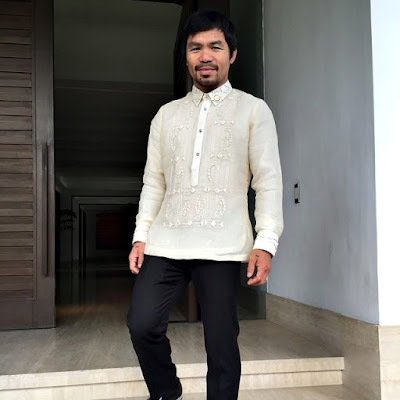 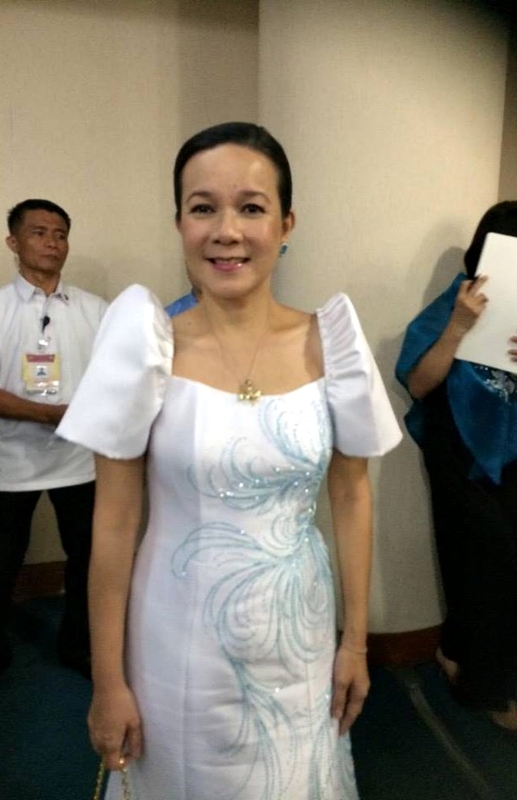 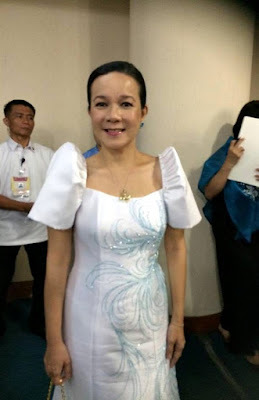 Below are some of the photos of our Philippine politician for their Afternoon Formal Event. 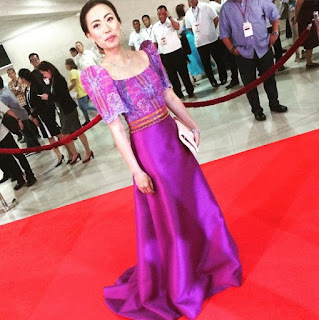 They are ready for the SONA 2015 Red Carpet Fashion Statement at the Congress Plenary Hall. 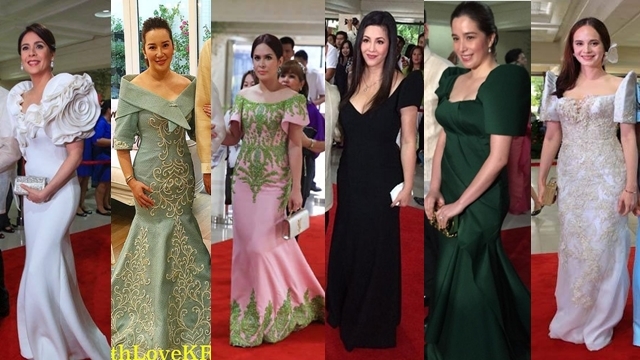 Photos courtesy of Manila Bulletin and Inquirer photographer.